Collectors of ancient arts and artefacts will be reaching for their paddles (virtual and in the saleroom) as Egyptian Phoenician, Greco-Roman and archaic pieces from various cultures will be coming to auction at Uruguay's Zorrilla. 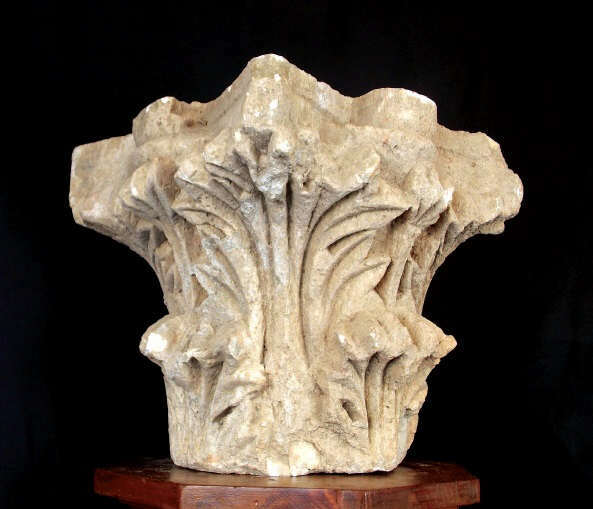 Capitals are an important decorative element from ancient civilisations. The architectural piece is found at the upper end of the column. The earliest known capitals come from Ancient Egypt and Persia, but it was the Greeks and Roman who developed the design. Greco-Roman designs of capitals vary greatly. The Greeks and Romans designed and developed the simple Dorics style; thin Ionic columns; Corinthians which feature acanthus leaves and Tuscan columns which combine Ionic and Corinthian designs. In the West, capitals were used in Medieval architecture, including in Romanesque and Gothic, whilst in the East in Byzantine and Islamic territories the structural style of using columns with capitals was still used. Both Byzantine and Islamic capitals were derived from the Corinthian design. 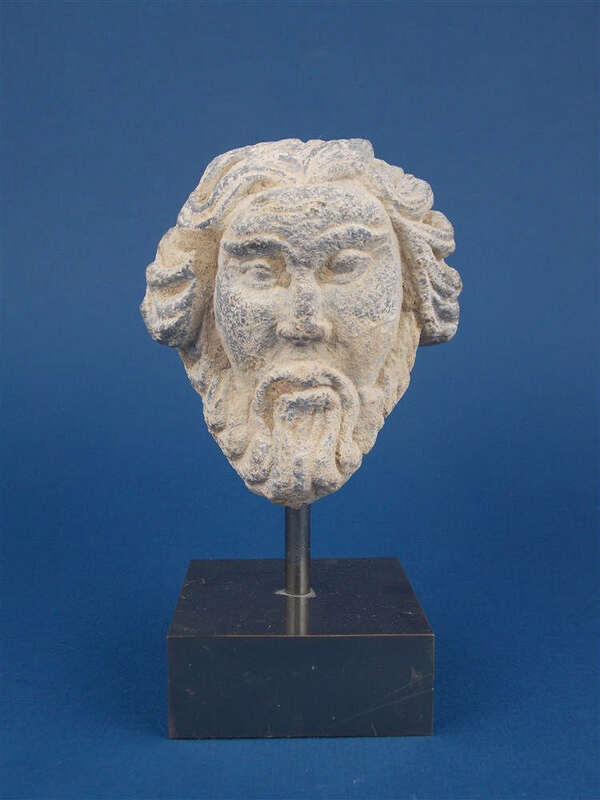 A bearded head of shale carved with metal base (Gandhara) from the fourth century AD, with a document of origin, from a former private collection in London, acquired around 1980. 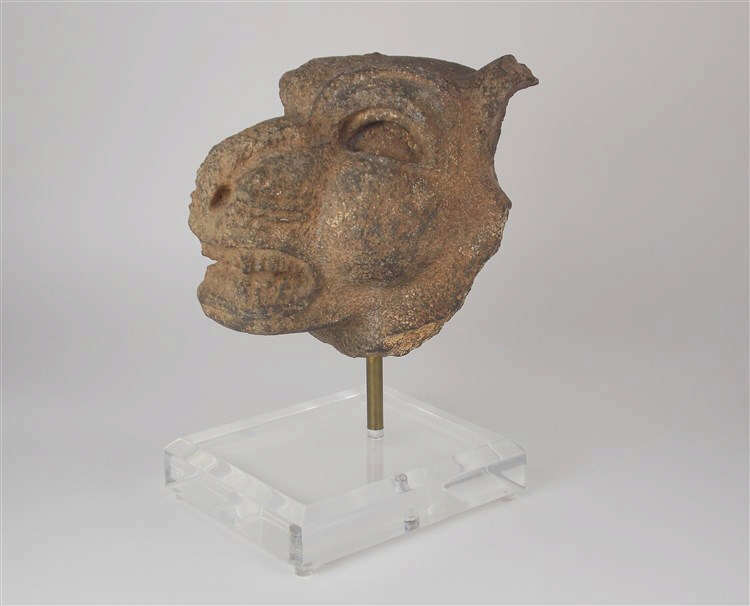 The ancient Indic Kingdom of Gandhara was situated in the northwestern region of Pakistan, around Peshawar. In history, it was one of the most beautiful areas of Bactria, an ancient region in Central Asia located between the Hindu Kush mountain range and the Amu Darya river, in the flat region that today is Afghanistan, Uzbekistan and Tajikistan. The Byzantine Empire, carried on the Roman Empire in the East during Late Antiquity and the Middle Ages. The capital was Constantinople, which is today Istanbul. The Empire outlasted the fall of the Western Roman Empire in the 5th century A.D. and was still in existence for another thousand years after this until 1453, when it fell to the Ottoman Turks in 1453. Byzantine art that has survived today is largely religious. In Western Europe, it was held in high regard, where it influenced medieval art, especially in Italy where it had a significant influence on Italian Renaissance art. The influence of the Byzantine period can be seen in the architecture of religious building in Arabic countries, Egypt and also in Russia and Romania. Check out the full catalog for Zorrilla's auction here.